It doesn’t matter what you are trying to achieve, we’ve got a success story for every goal. The active mother who added over 20 pounds to her clean, went from 0 push ups to 5 all while losing 25 pounds by becoming a Garage Gym Athlete. The Education Supervisor for an Ambulance Service, who was pre-diabetic before losing 90 lbs by becoming a Garage Gym Athlete. "I've tried many other programs, but End of Three Fitness is hands down the best I've ever used. Before joining, I was overweight, felt terrible all day, and couldn't walk up stairs without losing my breath. In the last year, I set over 100 pounds in PRs, ran a 5K nonstop without training for it, and have my first powerlifting meet in a couple months. The best part is that I am a better, and healthier, dad and husband. Joining EO3 Fitness was the best fitness decision I've ever made." "I cannot recommend GGA highly enough! After being sidelined by a back injury for nearly a year, I had put on weight, lost strength, and grown increasingly frustrated. I joined GGA six months ago, and within four months I lost 17 lbs while also hitting lifetime PRs on my front squat, 5k run, and 2k row. Each day of training pushes me to a new level of fitness; I'm extremely happy with my decision." "Ever since I started with EO3 and Garage Gym Athlete in 2015, my life has completely changed! I am stronger in every lift, I am faster than I’ve been since high school, and most of all, my confidence in my capabilities has gone through the roof! I am no longer afraid to try new things and see what my body is capable of. EO3 and GGA has made me stronger, faster and harder to kill and I can’t wait to see where I go from here!" "I’m a 42 yr old father of three. I’m an ex-marathon racer turned Garage Gym Athlete. EO3 programming has allowed me to train efficiently and effectively in my garage. My MURPH time has gone from 39 mins down to 34 mins while increasing my strength on the 3 main lifts." "Jerred's GGA programming is as effective as it is simple. I'm currently finishing up my degree and working full-time as an IT technician, so my available training time is extremely valuable and limited. Despite this, I've been able to achieve significant improvements in strength and conditioning without taxing myself in a way that hinders my quality of life outside of the gym." "I train as a Garage Gym Athlete because I can accomplish so much in one hour of training every day. For the last 4 months I have been following End Of Three Fitness' and I have accomplished so many PRs. I have PR'd my strict pull ups, my push ups, I have shaved 3 minutes from my one mile run and I am able to push myself to a whole new level of fitness." "EO3 and GGA has helped me achieve a level of fitness that I have not seen in 20 years. I am 90 pounds lighter, faster, and stronger. All while working out in my garage gym, and the added bonus I now have my wife and son using the garage gym. The programming is the perfect mixture of strength and endurance that push to be a become harder to kill. Thank you EO3 for your continued support to becoming Better Human." "I found Eo3 while searching google for DIY garage gym equipment. I read some articles Jerred had written and started listening to his weekly podcast. I decided to give the program a shot (SHRED) and haven't looked back since! I've completed several 12 week cycles and I can honestly say I'm harder to kill than ever before. It's cheap, efficient, and effective! I love being apart of such an awesome community at GGA. Now let's change the game!!" "As a middle aged guy with a very sedentary job (truck driver), a wife and 3 kids, time is usually at a premium. With EO3 and GGA, it gives me the flexibility and accountability to still put in work and and be there for my family/work responsibilities. Truck drivers have a well deserved stereotype of being obese and unhealthy. I will not be one of the statistics! GGA pushes me with tough workouts that can be done in relatively short time with great results. I've tried many programs in the past, but GGA has given me the best results! 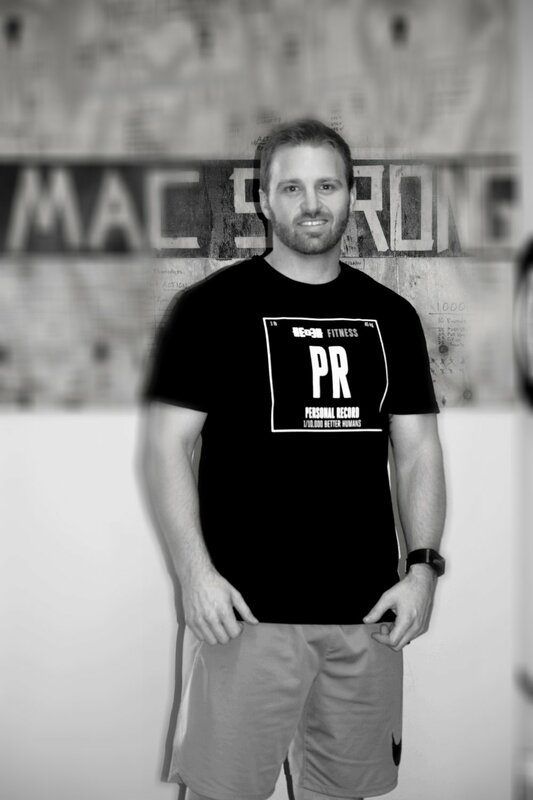 Even got the PR shirt prove it!" "The Garage Gym Athlete program from EO3 Fitness has been a great find in programming for me. As an active duty service member my schedule can change often. So getting to a gym can be hard. With this programming I have something solid to do on my own time. It has been very effective and it's very well put together. 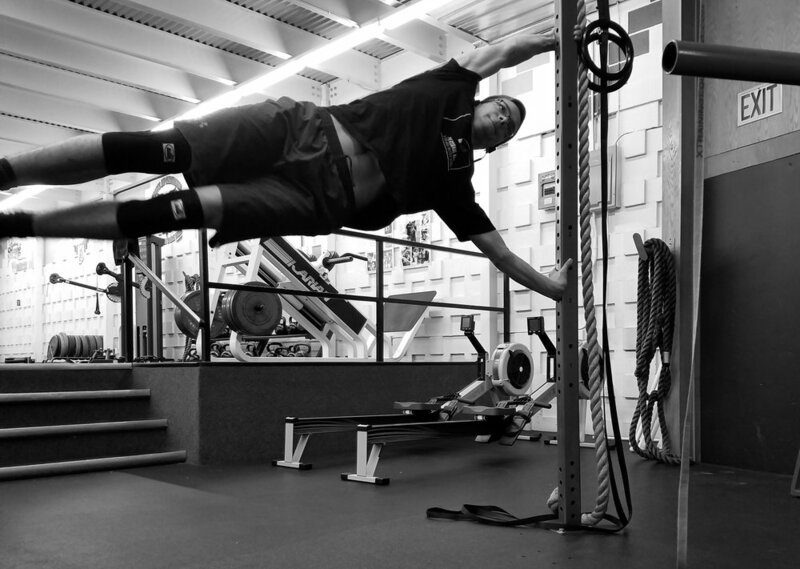 I feel that the programming continually makes me push myself to get better." "I've been an EO3 / GGA athlete for almost 1.5 years now and it has been by far the best decision I've made in my training to join EO3 / GGA. The training is simple (not easy) and effective, and designed to be done in under 1 hour which fits my busy schedule. There's a really positive community here of guys and gals that support and push each other to be better humans. Since joining I've improved my Murph and Helen times, PR'd my mile, PR'd my 1RM Bench Press, Front Squat and Back Squat, while improving my finishes in multiple OCR events." WheRE can we send YOUR PR shirt? ?